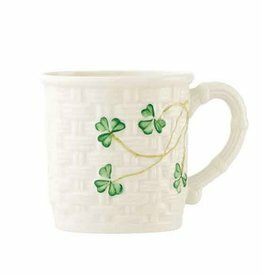 Beautiful gifts from Belleek to celebrate the arrival of a precious new baby. 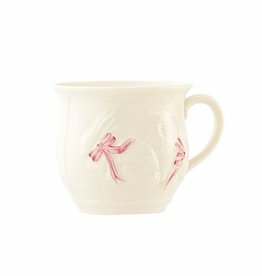 The Bunny Baby Cup is handcrafted of fine Parian China. 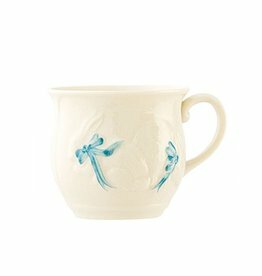 Available for baby boy (blue) or baby girl (pink) and features hand painted ribbons on the bunnies. Measures 3.3"W x 2.5"
The perfect frame to celebrate your new Wee Irish Baby! 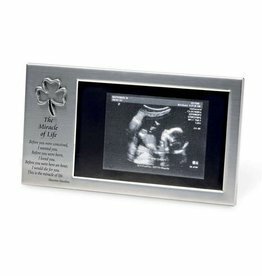 Featuring shamrock detailing, this brushed satin silver metal frame measures 8”w x 4.5”h. Holds a 4x6 photo. 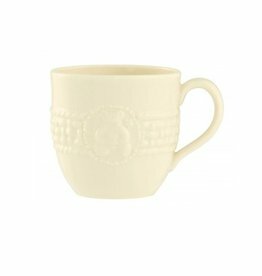 This darling little baby mug makes a wonderful keepsake to treasure for years to come. It makes a great gift for a new baby! Mug measures approx 2.25”H x 3.5”W.